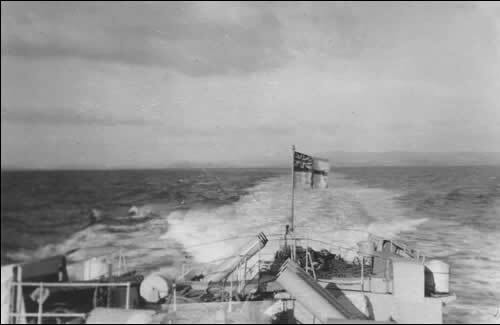 A photo taken from the quarterdeck of H.M.S. Murray (F91) doing 30 knots. F91 is a Blackwood class Anti-Submarine Frigate of the Royal Navy. Sent in by © William Marsh. If you have any additional information about this photo, please use the Contact Editor link at bottom of the page to tell me more about it. Thanks.